FILM FEST TWAIN HARTE 2012 TICKETS AVAILABLE NOW! 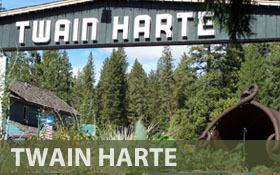 Twain Harte, CA – Film Fest Twain Harte announces that tickets for the 2012 Labor Day Weekend Film Festival are now available for sale, ranging in price from $8 for a single film block to a $50 All Weekend Film Pass. The international films selected are a combination of full length films, documentaries and student films; they will be presented in two hour blocks of time from Friday, August 31 through Monday, September 3, when “best of the best” will be shown. Tickets are also being sold for the special events. On Friday, August 31, there will be a VIP Reception featuring special guest, Emmy Nominated Actress Veronica Cartwright (“ The Birds”, “Alien”, “Invasion of the Body Snatchers”). There will also be a presentation of Alfred Hitchcock’s classic, “The Birds”, as part of this exclusive Friday reception! A Saturday Breakfast is also featured, as well as the Sunday Night Awards Dinner. Special Guest Speakers include Miss Cartwright, Jeffrey Weissman (“Back to the Future II”, “Back to the Future III”, “Pale Rider”), Adam Christian Clark (former CBS Producer of “Big Brother”, Producer of “Caroline and Jackie” to be presented at Film Fest Twain Harte), and G. Allen Johnson (Film Critic SF Chronicle, Filmmaker). Please refer to our website, www.filmfesttwainharte.com for up to date information about additions to the Guest Speaker roster and a list of films and schedules. Tickets for all film and special events are available at the website, www.filmfesttwainharte.com or call 209-586-9991. SOUTH WILLIAMSPORT, Pa. – What started as a few hours a week helping his wife, Joi, turned into a passion for Mike Muranaka. Born and raised in Honolulu, Hawaii, Mr. Muranaka was first introduced to the Little League Challenger program in 1992 when his wife, who was on the San Ramon (Calif.) Little League Board of Directors, was asked to assist with the fledgling Challenger program. His two children, Mathew and Michelle, also volunteered as buddies, along with Joi, enough people to cover the whole team. A few years later, Mr. Muranaka’s neighbor, Ed Huestes, who was the President of the San Ramon Little League, ask him to take over the position of Challenger Coordinator for the league. He accepted, starting a 26-year dedication and resolve to provide the children in the program with the very best of everything he could. 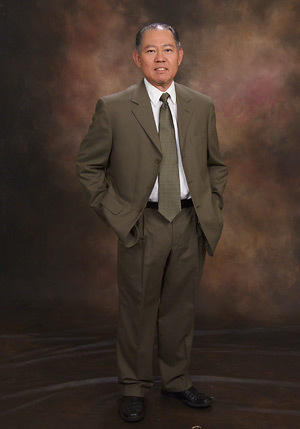 Now the Challenger Coordinator for California District 57, Mr. Muranaka has been selected as the recipient of the 2012 Challenger Award. The Little League Baseball and Softball awards program is sponsored by Chartis. Started in 1989, Little League’s Challenger Division serves more than 30,000 children worldwide, ages four to 18. The Little League Challenger Award was established in 1998, and annually acknowledges the efforts of an individual who exemplifies the Little League ideal of providing all children an opportunity to play baseball regardless of their ability. Little League’s Challenger Division was established to give boys and girls with developmental and physical challenges the opportunity to enjoy the full benefit of participation in a Little League program structured to their abilities. There are more than 2,000 teams and more than 30,000 players in this division of the Little League organization. 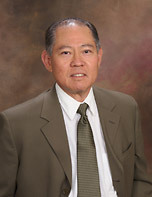 Mike Muranaka, the 2012 recipient of the Challenger Award, has been involved in the Challenger program on some level since 1992. As the district coordinator for the program since 2000, Mr. Muranaka, 62, is responsible for coordinating and scheduling games for the eight teams in the district. In addition, he also takes care of arranging picture day for the teams and ensures that each league supports its Challenger program with uniforms and equipment for the teams. He also plays an integral role in the registration process and promoting the teams to every child possible who is eligible to participate in the program. The district, which includes the Tri-Valley area of Alameda and Contra Costa counties in Northern California, also provides medals for all the players and buddy t-shirts and certificates for the many volunteers that come out on Sundays to help at the games. Behind his leadership, the district is expected to add their ninth and 10th Challenger teams next year, and with the support of Dublin (Calif.) Little League, have built centrally-located fields for the children in the program which has drastically reduced the travel time and expenses for each of the district teams. The San Ramon resident also has been instrumental in the evolvement of the Western Region Challenger Jamboree which has been hosted by his district each of the last eight years. The event had 10 teams and approximately 120 players in its first year. In 2012, the jamboree had grown to 26 teams, including teams from as far away as Arizona, and more than 1,200 people participated in the annual barbeque that is held in conjunction with the event. “We have a dedicated committee made up of Little League volunteers,” Mr. Murunaka said. “Their efforts and countless hours of hard work make the jamboree possible. The event is also supported by all 12 leagues in our district. Mr. Muranaka will be recognized at a breakfast and during an on-field ceremony at the 2012 Little League Baseball World Series in South Williamsport, Pa. The 66th World Series will be played Aug. 16-26. Little League Baseball and Softball is the world’s largest organized youth sports program, with more than 2.5 million players and 1 million adult volunteers in every U.S. state and scores of other countries. 1998-Ed Beardsley, Edgewood LL, Bristol, Conn.
2004-Pablo R. Burgos, Admiral Daniel P. Gallery LL, San Juan, P.R. 2005-Jennifer Burns, New Mexico District 5, Edgewood, N.M.
2006-Raleen Hockenberry, Oregon District 7, Scotts Mills, Ore.